This is a great shab bakhair urdu shayari. True lovers of naseeb qismat shayari will love this. 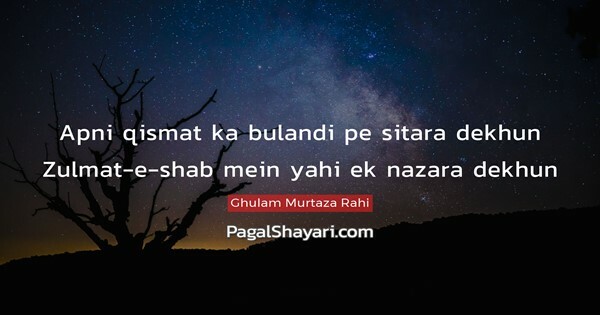 Shayari is the most beautiful way to express yourself and this tujhe dekhu shayari is truly a work of art. Please share if you liked this!! !